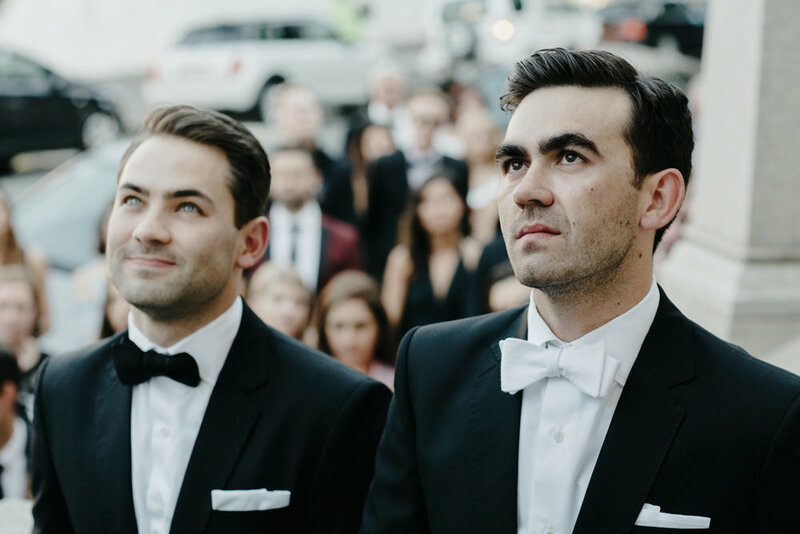 This inner city sidewalk wedding unites classic with contemporary, in the suavest way imaginable. 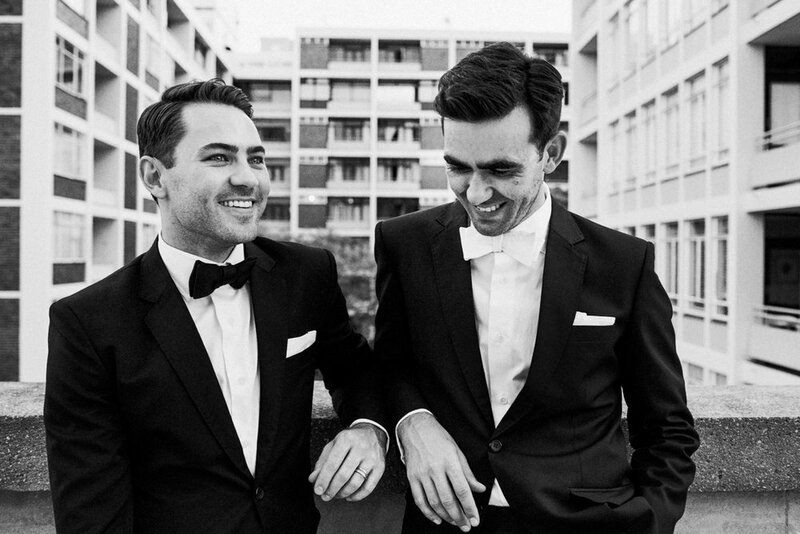 It was an inner city sidewalk celebration for Johannes and Francois, a classically sleek yet contemporary Cape Town wedding. 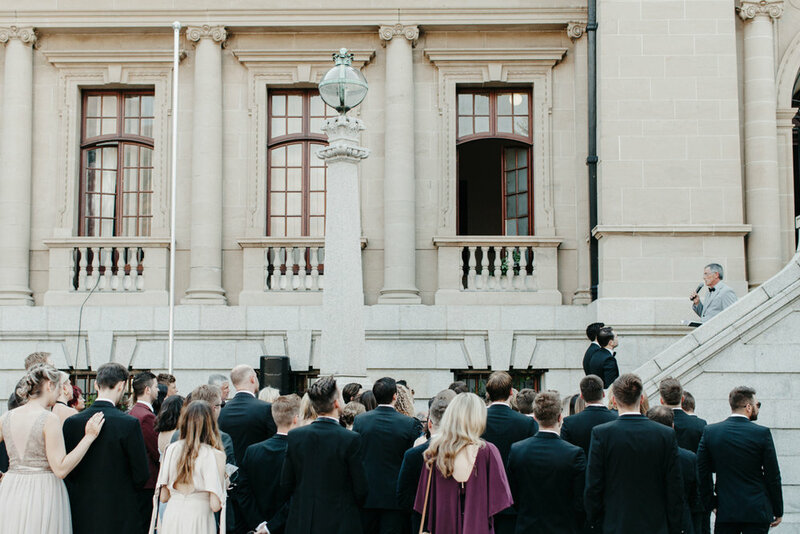 On a warm autumn afternoon, the couple greeted their guest as they congregated on the sidewalk outside the most magnificent building, the old town library - The Centre For The Book, to celebrate the joining of the two. 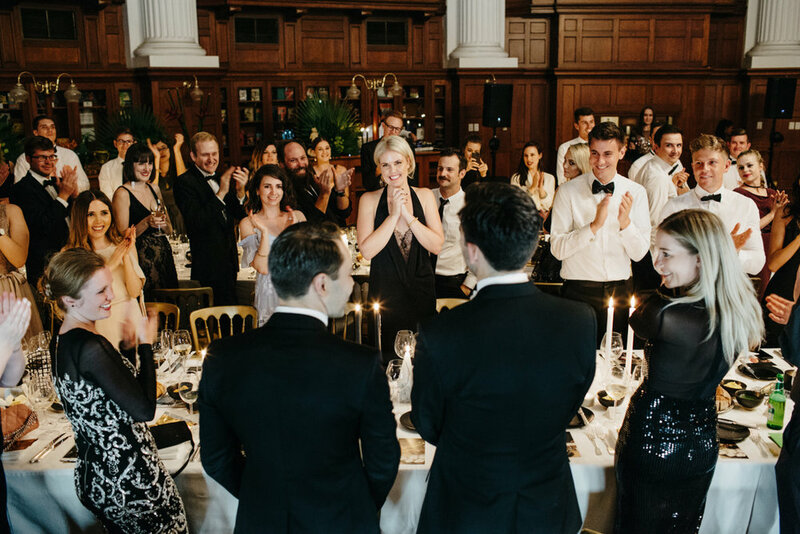 Styling was bold, yet candid in the interior of the building where the couple enjoyed their evening celebrations. 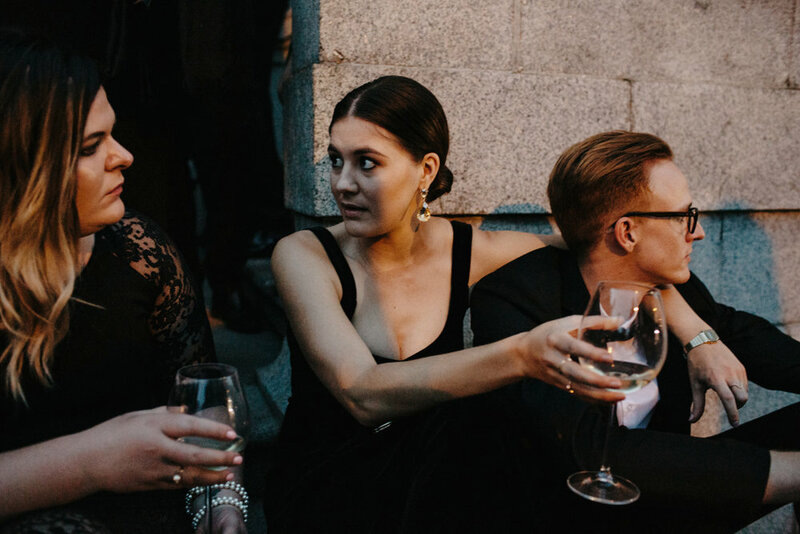 Hundreds of pieces of art that the couple had collected over the years lined the tables, and large-scale explosions of greenery surrounded the venue, keeping in line with the masculine feel. 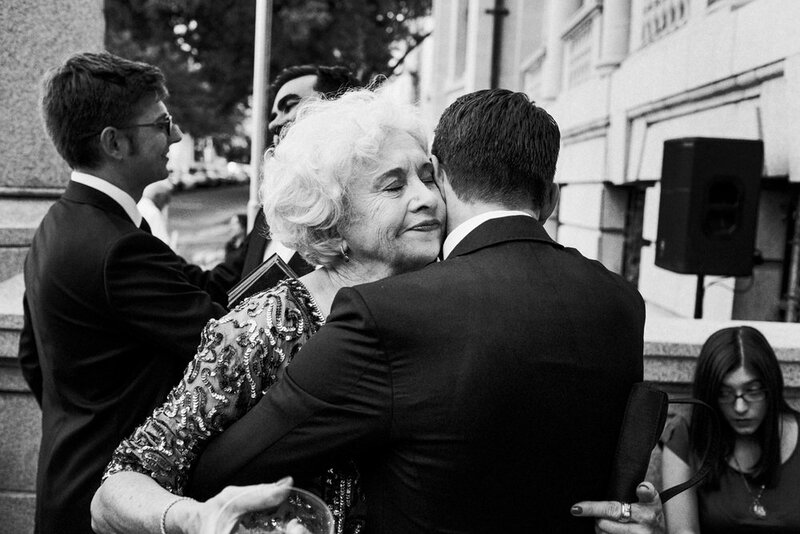 In a time where we are still deliberating the future of marriage equality here in Australia, may this wedding be a sign of all that there is to come. 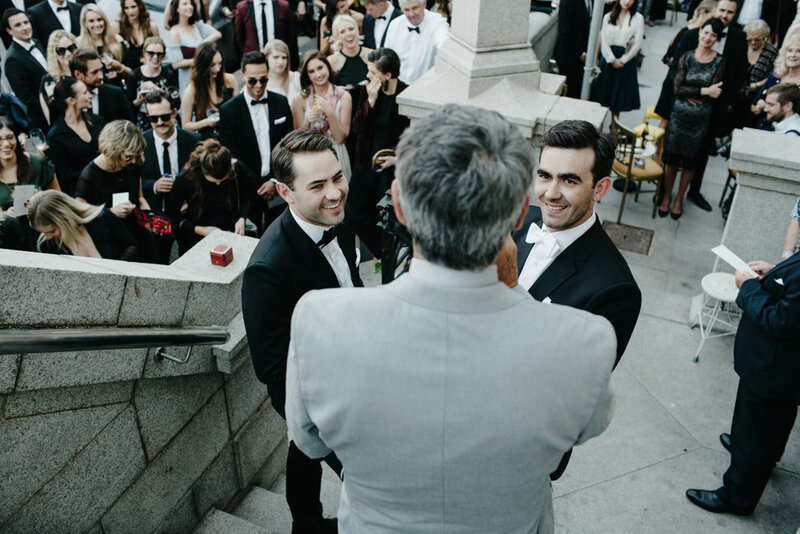 Johannes and Francois, a beautifully refined wedding kept masculine and timeless. What were the 3 main highlights of your day? 1. 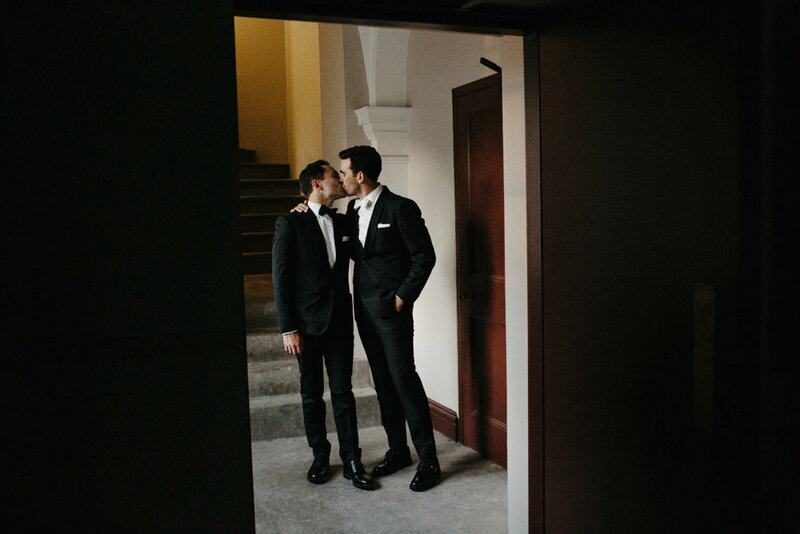 We didn’t want to make a big, revealing entrance but rather wanted to welcome our guests ourselves. 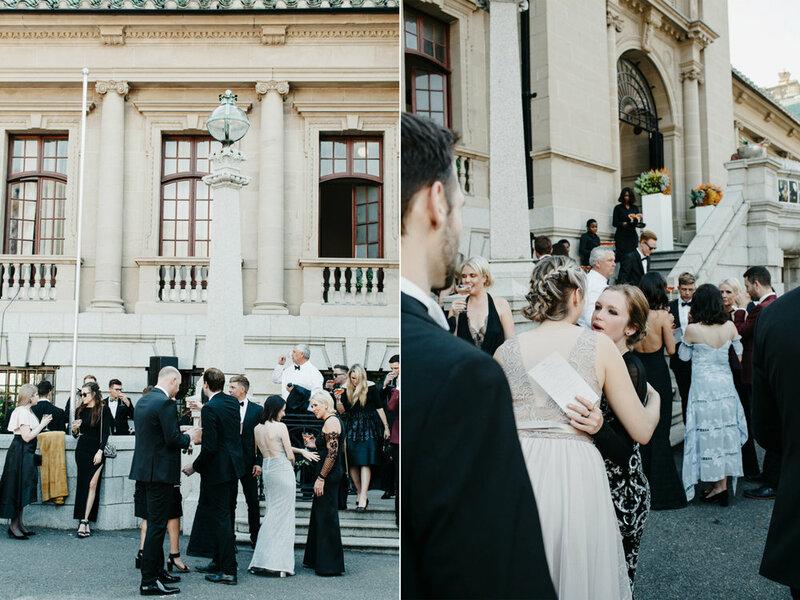 Our dress-code was black tie, so waiting on the sidewalk and seeing all our stylish friends and family walk down the tree-lined road and feeling their excitement as they got closer and see the venue for the first time took our breath away. 2. We wanted to treat our guests to the finest food and drinks we could find, so when Slippery Spoon brought out the Amuse-bouche and it was a champagne, black pepper and gruyere macaron on a bed of pebbles and moss with fog billowing from each plate, the collective gasp of our guests (and ourselves) felt like we achieved what we set out to do. From there the food and wine pairing got even more interesting and beautiful. The night’s food offerings ended with 6 desserts, served canapé-style and included giant clouds of Gorgonzola-flavoured candy floss! 3. Dancing with our guests until the early hours of the morning to the slickest vocals and beat boxing by Lone Raynger and the intensely sophisticated soundscaping of Dario Leite made us feel like the night could go on forever. They both had us all on our feet the whole time and we’ve been hearing praise from that day until now. 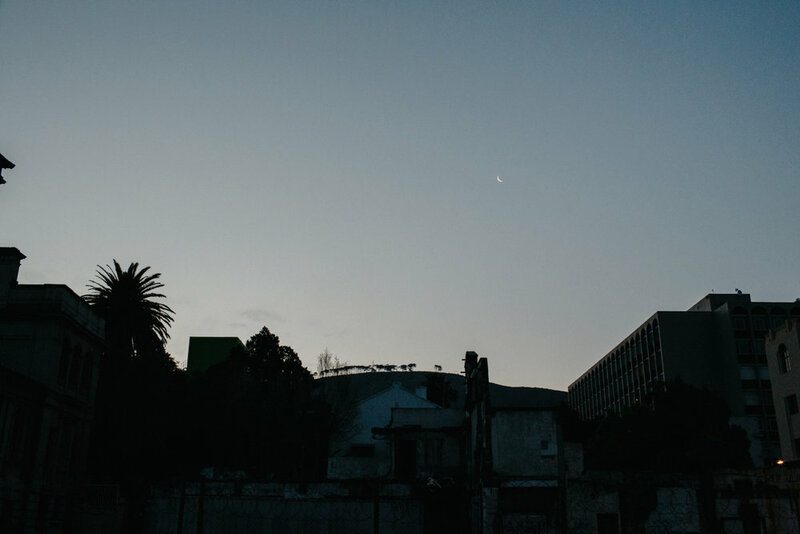 The Centre for the Book is a lesser-known jewel in the city of Cape Town. 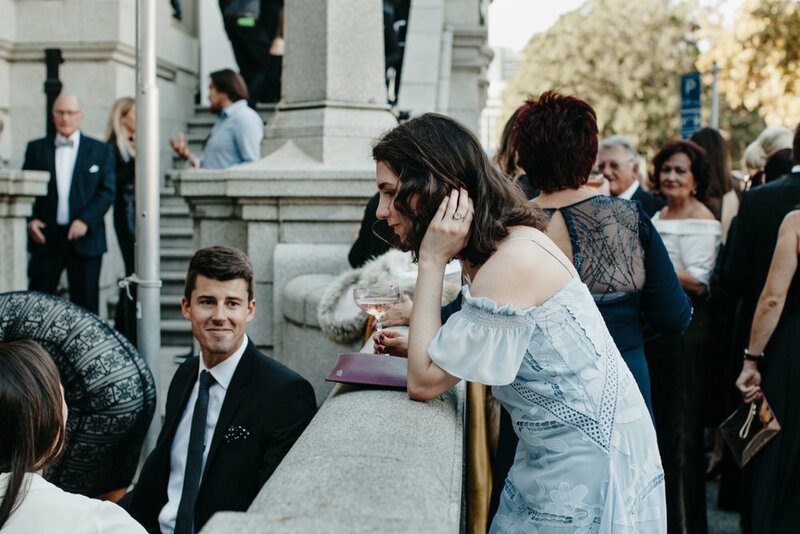 We specifically wanted an inner-city wedding and when we came across the Sir Herbert Baker-designed old library, which is not really a function venue because it is a functioning library housing the city’s first editions and collectible books, we made phone calls and various enquiries and ultimately booked it without even visiting the site. 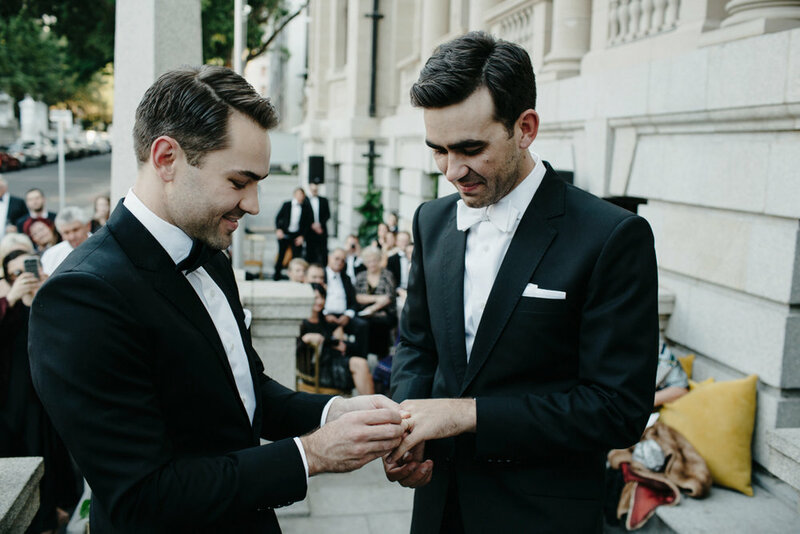 We knew it would perfectly suit our concept of marrying the classic with the contemporary (which was the “unspoken” theme for our celebration). Did you include any traditions or rituals? We wanted to give our guests gifts that would be personal and befitting of the wedding’s milieu and theme, so we designed and printed personalised, initialed stationery for each guest and placed it at their assigned seats in metallic gold envelopes. That is where the tradition ended. 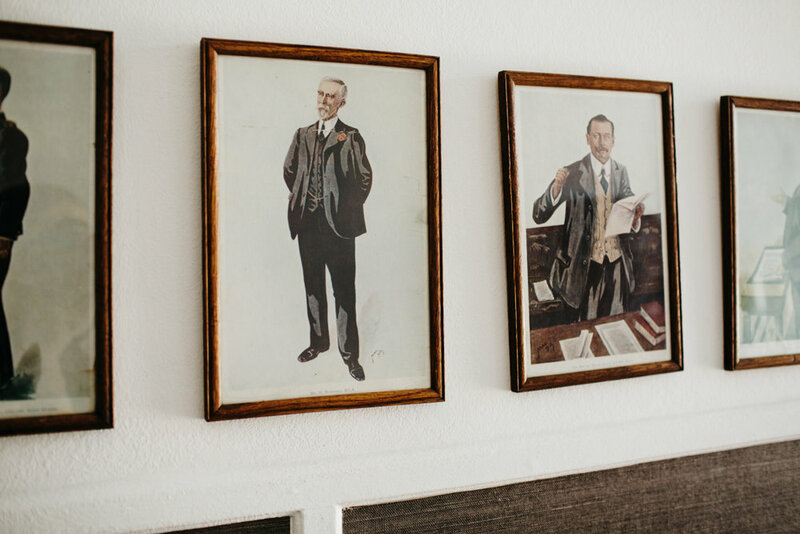 We kept everything classically formal but imposed our idea of contemporary luxury to every aspect. We wanted to include art and design in all aspects of the wedding, and also wanted to include our creative friends and family where we could. 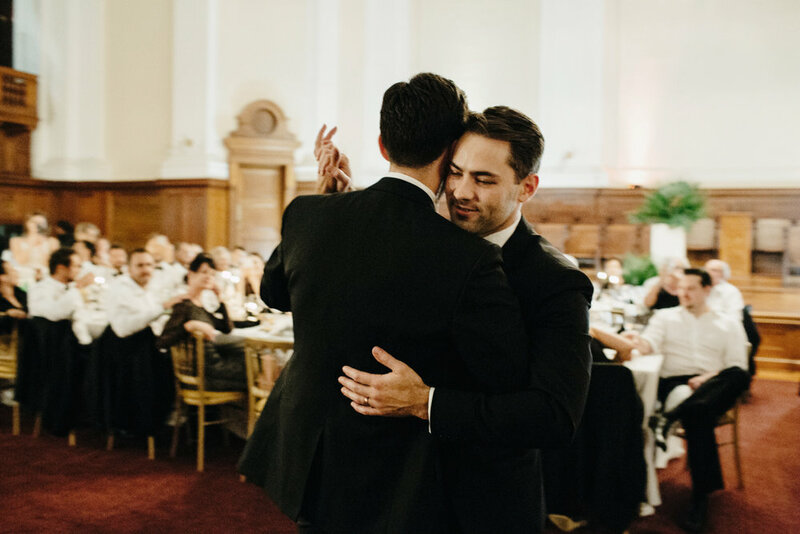 It was incredibly heartening to work with so many loved-ones and it made the day extra special to have their personal touches surround us. A good friend of ours is an exceptional graphic designer, www.whitekitestudio.co.za, and she has always said that she wanted to design our stationery and wedding ephemera as a gift to us. 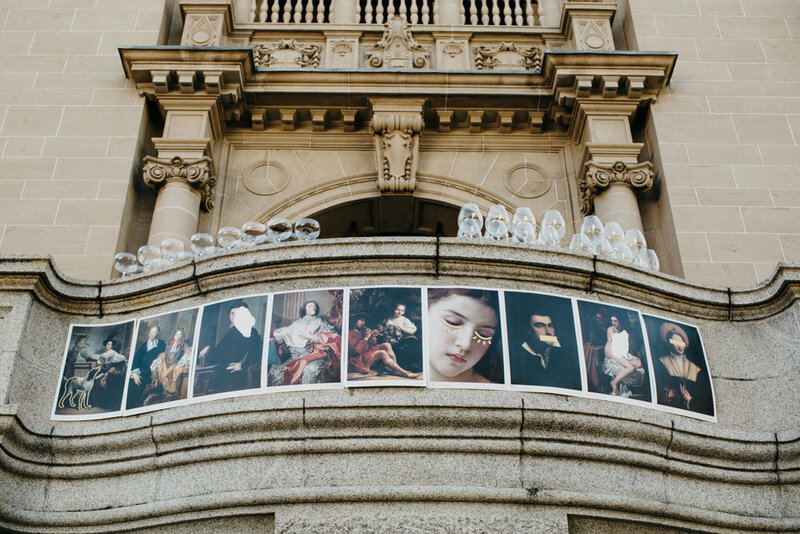 When the time came, it turned out that ours would be her last foray into wedding stationery and so it was even more special to see how she brought our ideas to life by fusing classic artworks by the masters with clean and contemporary impositions. Our flowers were styled by Johannes’ sister, www.botanicus.co.za, as mind-blowing, large-scale explosions of greenery and foraged seeds and branches surrounding the reception area. We wanted to have a masculine quality to the arrangements and she went beyond our brief to execute this. We didn’t have any flowers on the tables, but instead styled the long tables with hundreds of pieces of art and objet that we have collected together over the years. 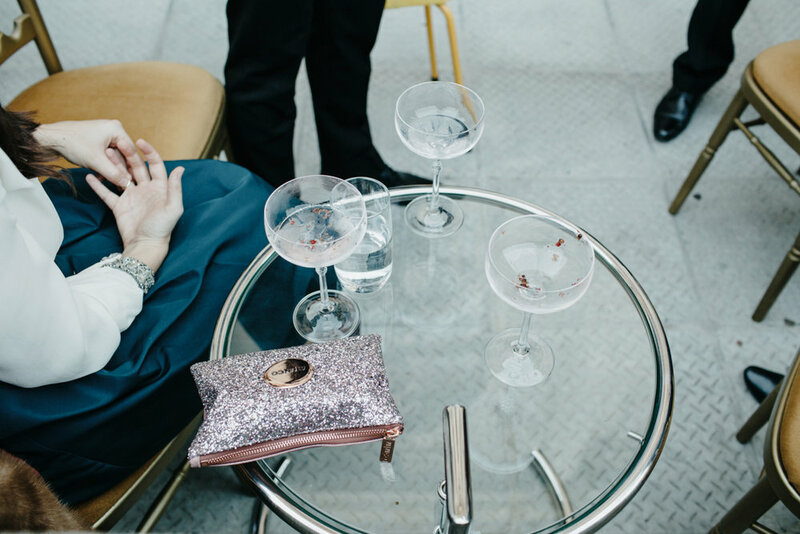 Some of the items were gifts given to us by wedding guests in the past, so we tried to place these items close to the person that gave it to us to add to the personalisation we wanted our guests to experience. Location: City of Cape Town. 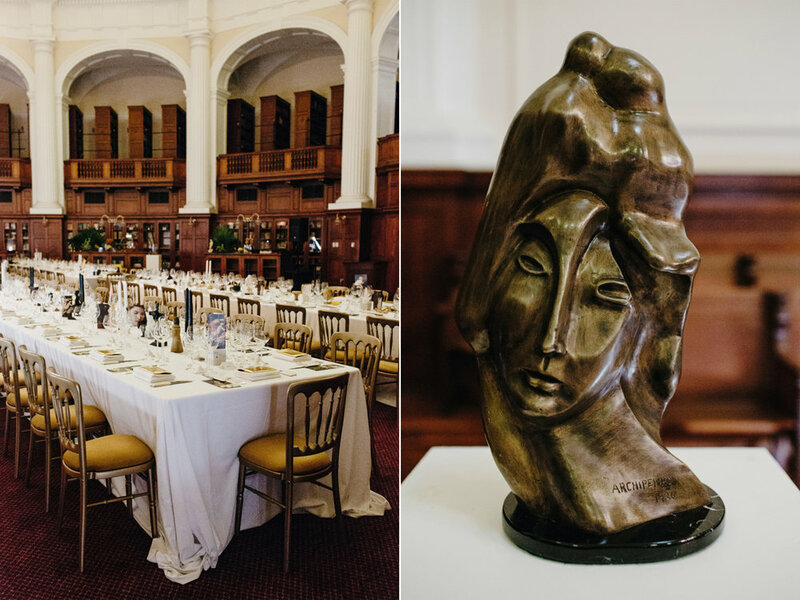 Venue: The old town library, The Centre for the Book, designed by Sir Herbert Baker. 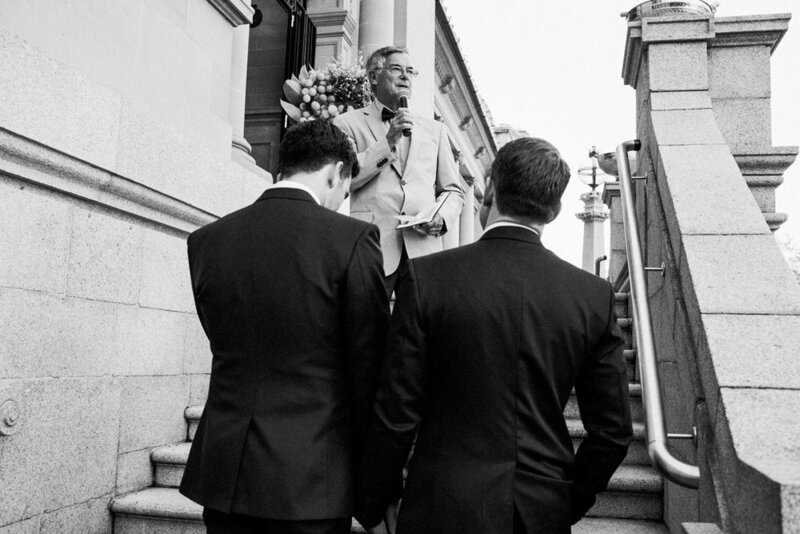 A short ceremony was held on the sidewalk in front of the building where beautifully dressed guests stood and lounged on the steps, cocktail in-hand. After which Slippery Spoon Kitchen served the most incredible 8-course canapés while everyone rubbed shoulders on the street. 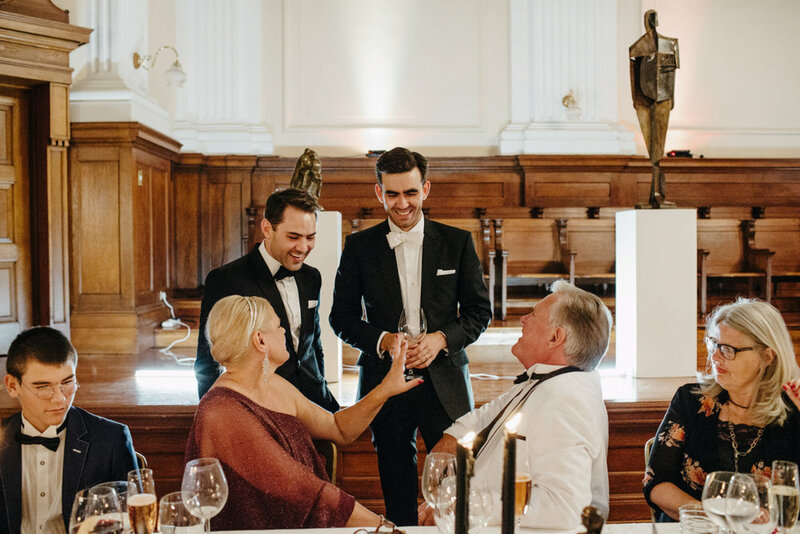 The reception moved inside to the domed main hall, surrounded by wood paneling and Roman columns where the formalities were finalised and the party continued with live music and the finest dining experience. 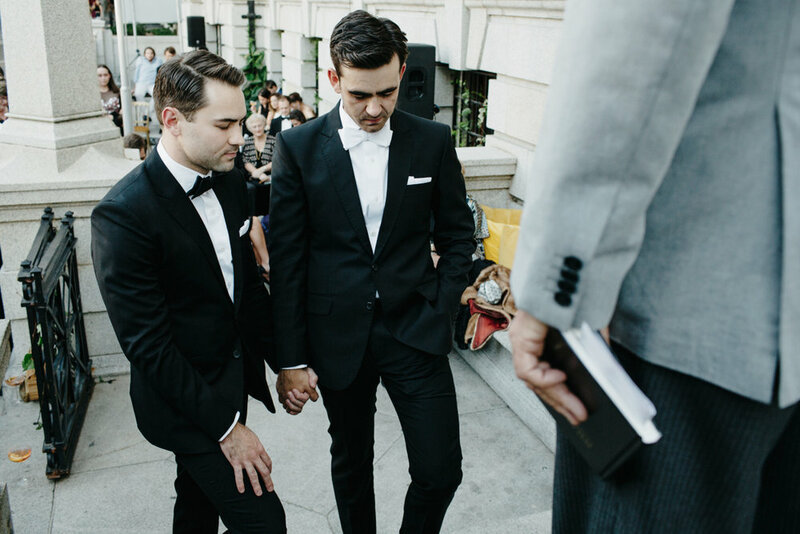 Johannes’ Suit: Custom-made suit, shirt and bowtie with Christian Dior shoes. 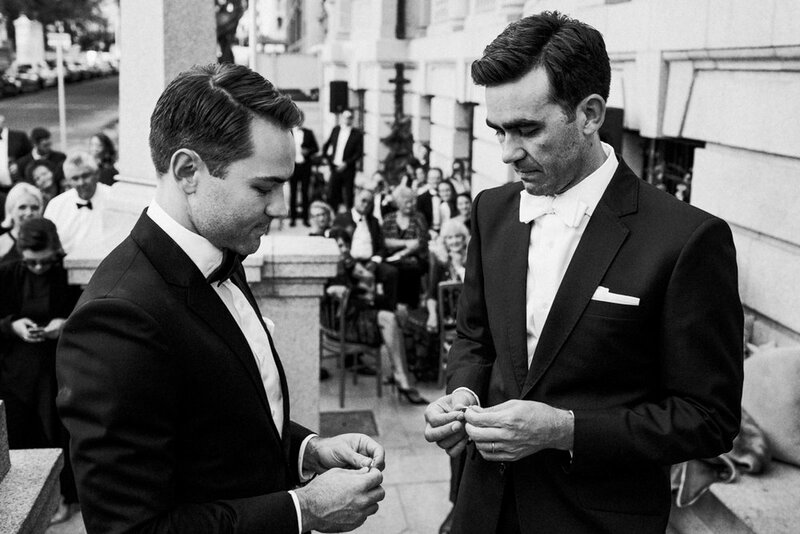 Francois’ Suit: Custom-made suit and shirt, Tom Ford bowtie with Valentino shoes. Honeymoon Destination: A culinary tour of London’s best and newest fine dining restaurants, scoured the streets for secret bars and speakeasies, and made our rounds to some of our favourite museums and galleries.